Give a voice to migrants in Switzerland! The past year has been an eventful year for Switzerland’s migration politics. Many Swiss people are shocked and disappointed about the result of the vote on the 9 February «against mass immigration». In order to give the discussion about migration another direction and to campaign for a more open-minded Switzerland, we give migrants in Switzerland with no right to vote and elect on a national level a voice! 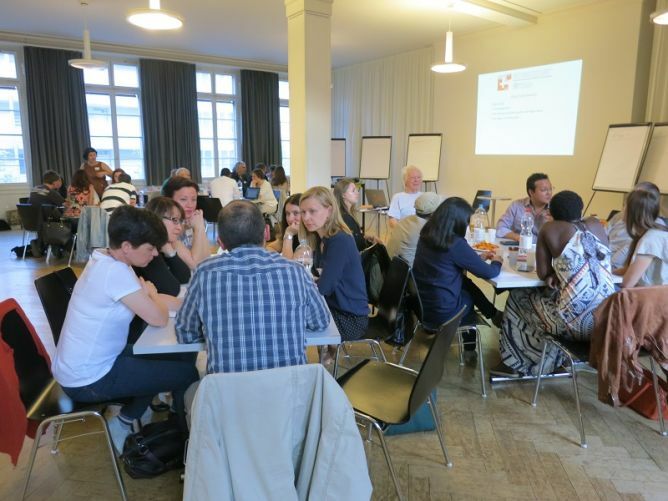 Our project «regional and national sessions of parliament by migrants for migrants» promotes integration of migrants in Switzerland through political participation. Our goal is to create a space where migrants can formulate their requests and get to know the political system in Switzerland better. At the same time the Swiss population shall be sensitized to the topic. 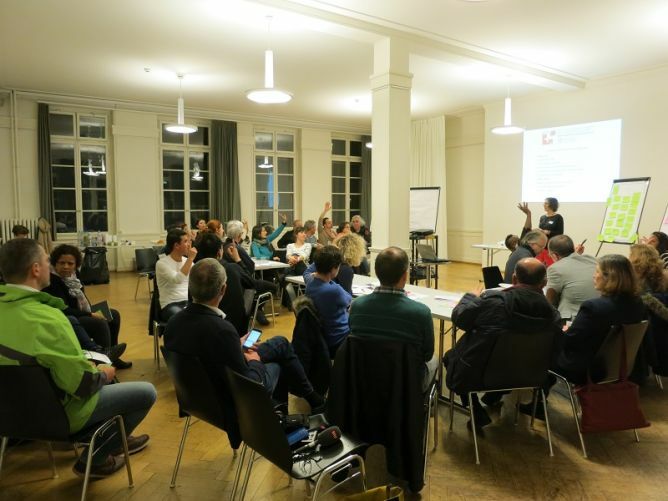 A FIMM Schweiz integration project (umbrella organization of numerous migrant organizations in Switzerland). In our opinion effective integration politics is closely linked to political participation. 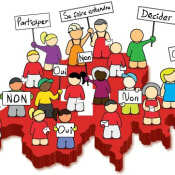 Political participation is a good strategy against exclusion, discrimination and disintegration. People who are interested in politics and identify with the democratic system in Switzerland are also integrated. These notions are implemented in our project. The regional sessions shall take place in the different regions in Switzerland. On the national level a federal session of parliament is planned. Currently preparations are running for the first regional sessions of parliament in Lausanne and Basel! Our goal is to bring migrants with no right to vote and elect closer to the Swiss political system and thus promote their political participation and integration. They will deal with political topics in Switzerland and express their requests during the session of parliament, so that these are perceived by the Swiss politics. Hence the migrants experience the Swiss political culture very closely and they can be motivated for social engagement. At the same time the Swiss population shall be sensitized to the topic. Our project is conducted in several stages. Every stage is a closed partial project. During the first stage, which was finished in May 2014, the necessary basis was established in order for the project to be broadly supported. We accomplished to reach over 300 new migrant groups! After the first stage many participants expressed the wish to start with pilot projects in different regions. This is why, on the 27 June 2015 a first session of parliament will take place in the canton Basel and on 21 november in Lausanne! In order to prepare the first sessions well the participants can attend mentorings with regional politicians and participate in training courses for communication, self-assertion, meeting leading. The canton Vaud is one of the cantons, whose permanent resident population has most foreigners (29% of the resident population). Over 170 nationalities live here together. This makes the population of the canton very diverse. Lausanne is an international city, 42% of the inhabitants do not have a Swiss passport. The canton Vaud’s electorate gave foreigners the active and passive right to vote and right of election on communal level. But only few foreigners make use of this right. The session of parliament for migrants in Lausanne will be a political event on the regional level. The session is a valuable platform, which gives migrants the possibility to directly communicate their concerns to politicians. Likewise the project is expected to encourage migrants to take part in the next communal votes and elections as well as generally take part in the social and political life of the canton Vaud and its communes. The session of parliament for migrants in Lausanne comes into being in close collaboration with the BLI (bureau lausannois pour les immigrés). In order to conduct our project «regional and national sessions of parliament by migrants for migrants» we are dependent on financial support. Amongst others we asked foundations and cantonal integration offices for financial support. With your help we would like to enable the session of parliament in Lausanne. By contributing you can help to give migrants in Switzerland a voice!